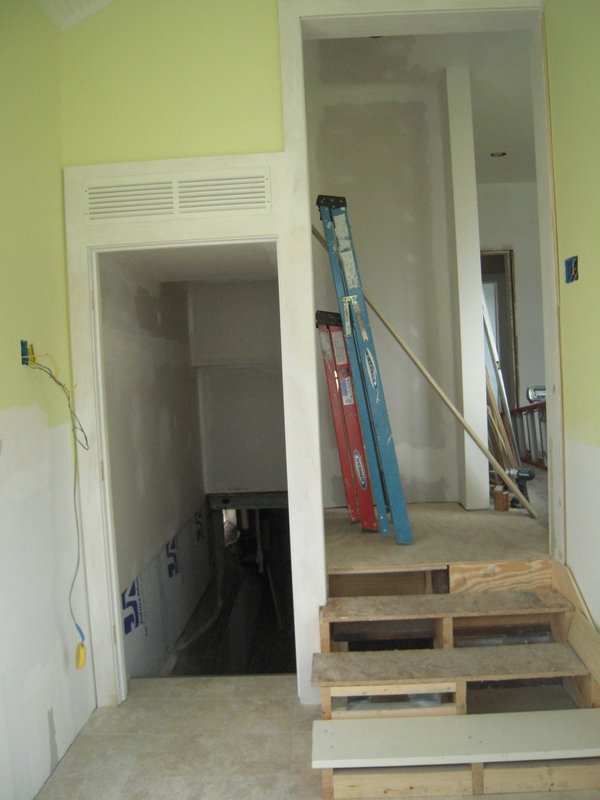 My original plans were to breeze through the kitchen area and march right upstairs to get this place done. But sometimes my intentions and my “what if” thought process do battle – and usually the thought process wins. 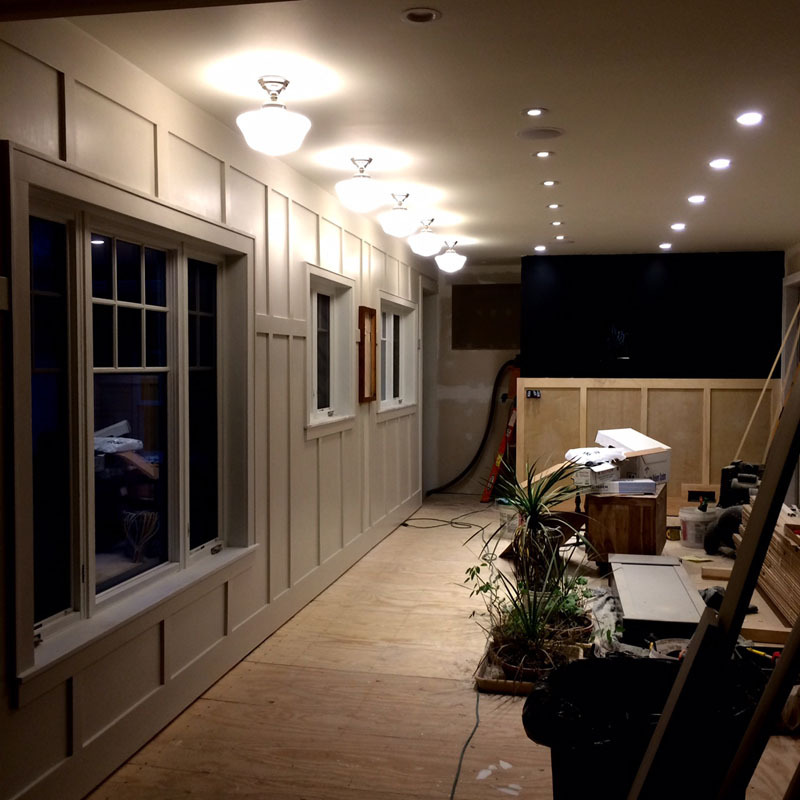 The main wall is paneled and painted and the clear coats are on – great. 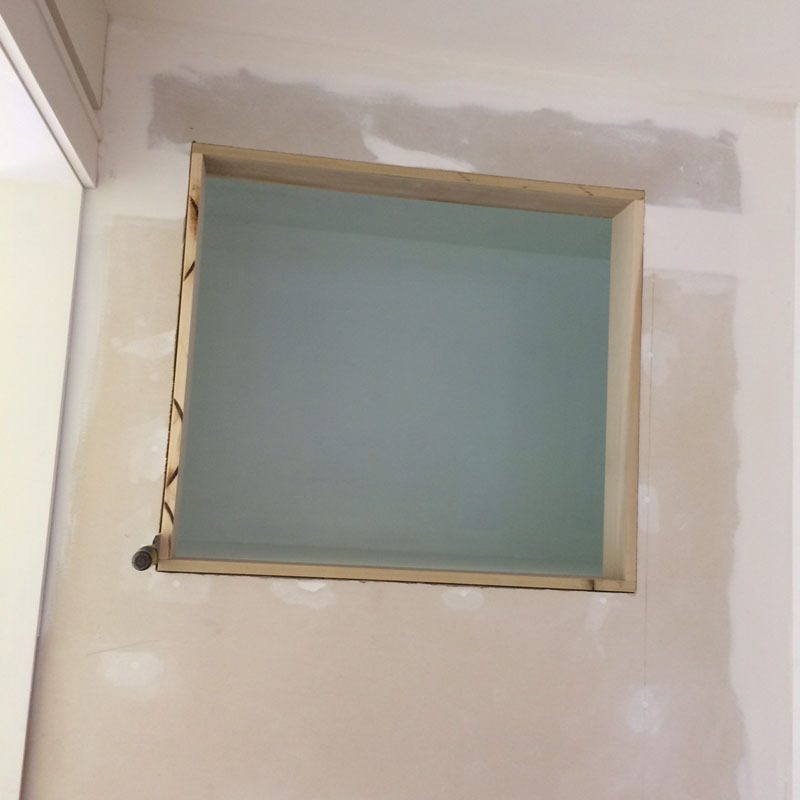 But down at the end where the mud room is I have a little alcove area when you come up three steps to enter into the kitchen. 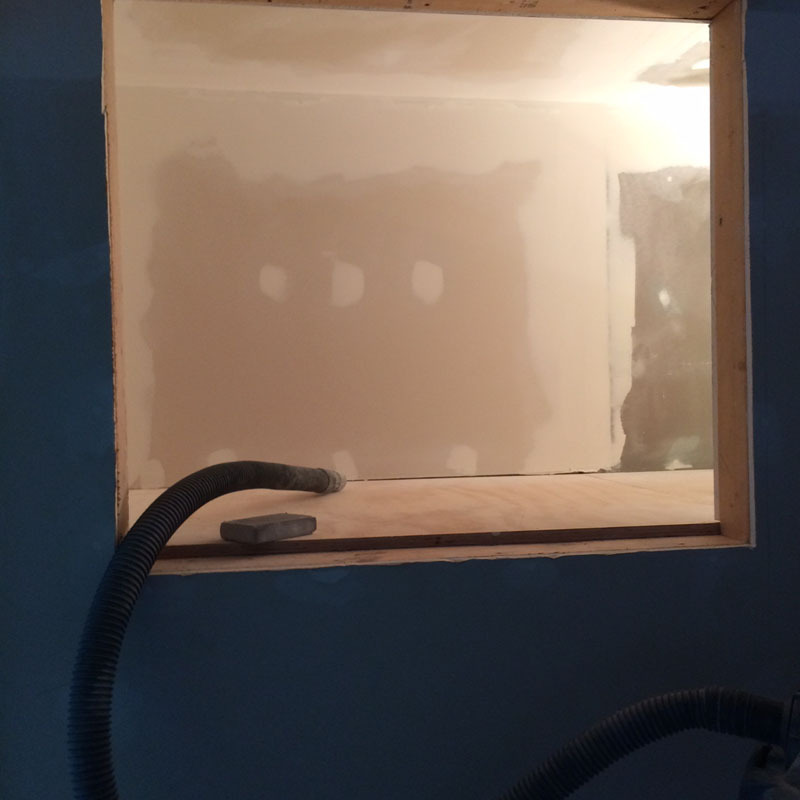 Here’s that space a long time ago.The little alcove area is about 12″ deep. My original intention was to put a little table there and call it a day. But then I thought “What will I do with my wife’s gazillion shoes?” I have two pair – my lucky ones you have already seen and one other pair. But my wife on the other hand has ‘countless’ numbers of shoes that all look the same to me and pile up at the back door. We’ve got to find a way to hide some of them. 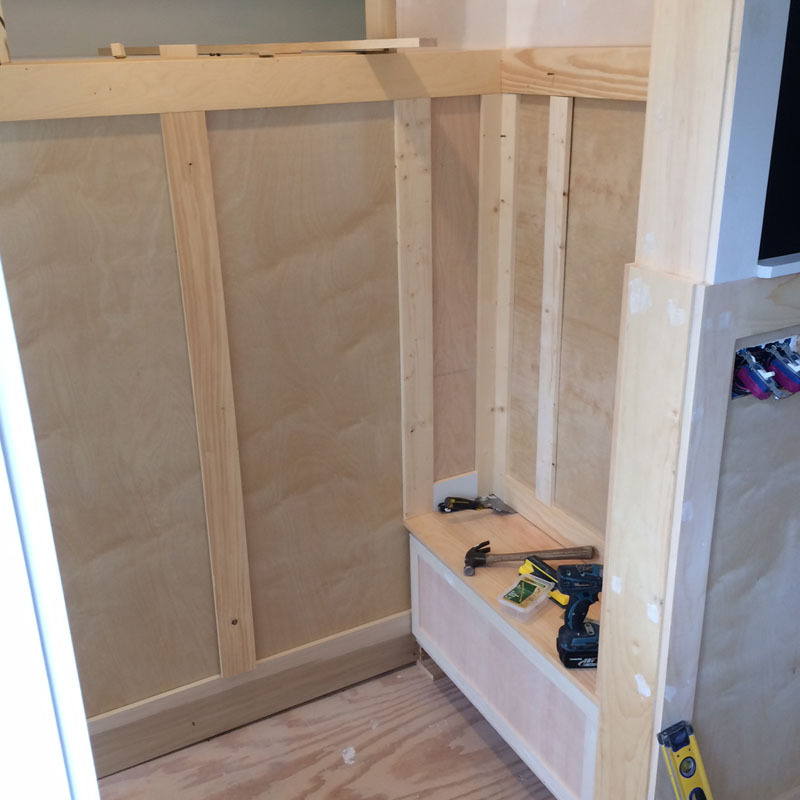 We’ll think about what we’ll do about the shoe problem, but first I’ll finish this storage area that is 3’X3’X8′. This space is over the basement stairs. I’ll make a pantry or something out of it. First we gotta finish the drywall and paint. 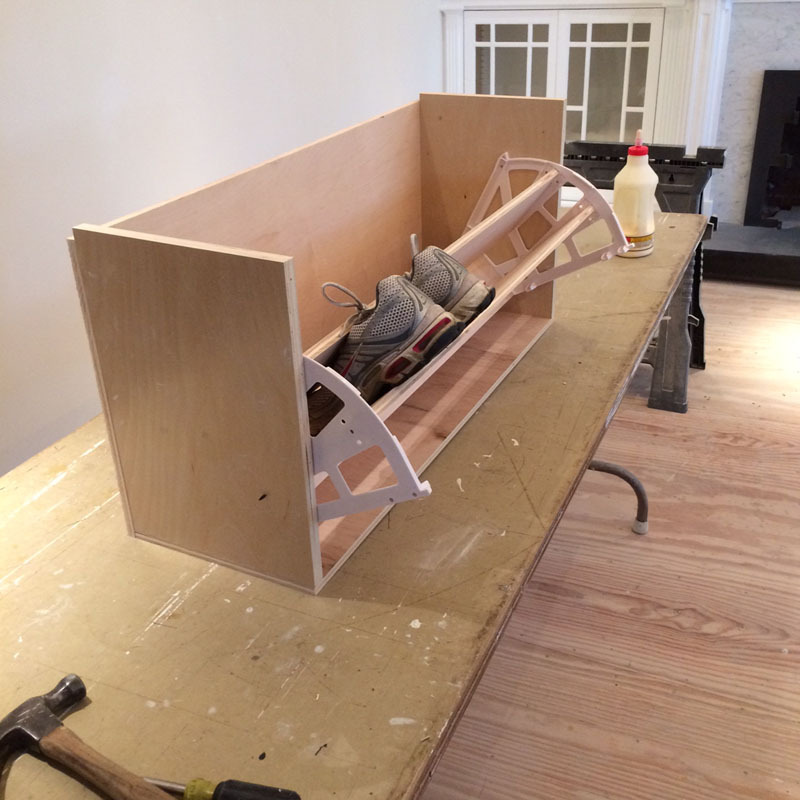 Done – and the casing is added around the opening. I intend to make a pair of doors for this. After a couple days of research and head scratching, I came up with this idea. 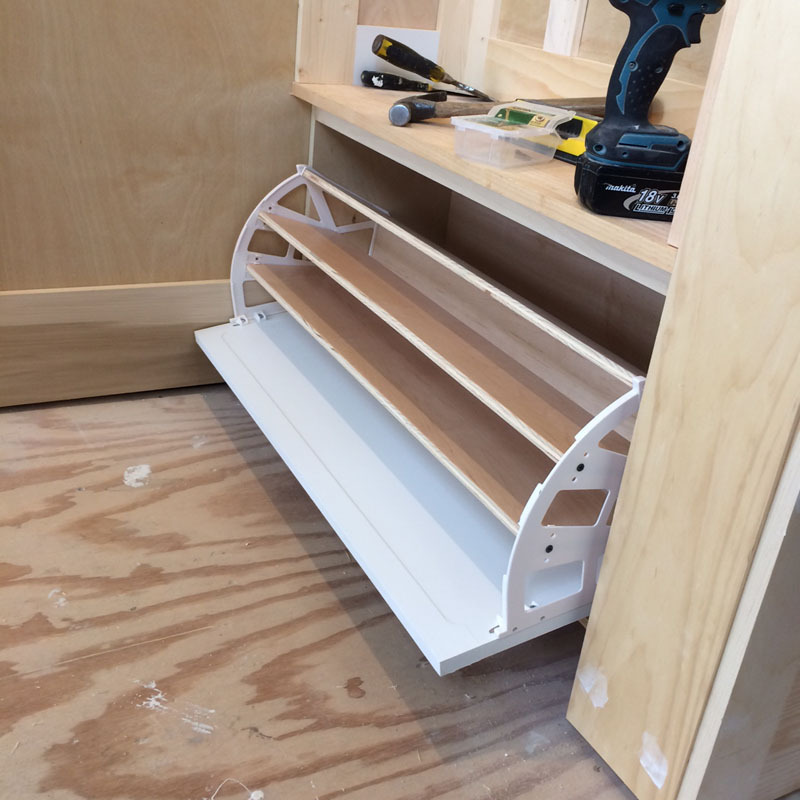 A shoe storage bench. 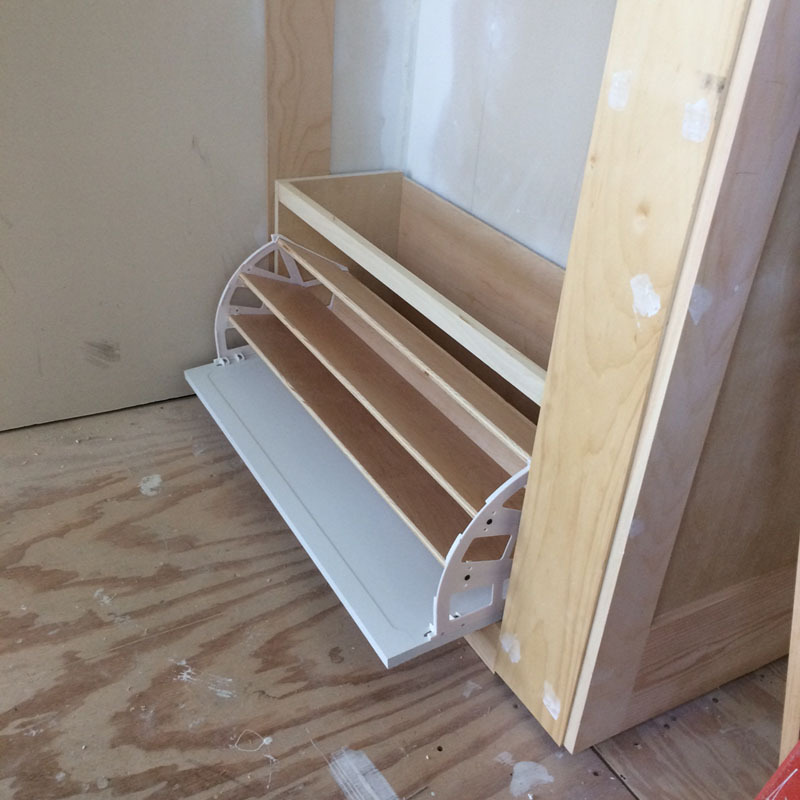 I found the pivoting shoe caddy brackets at Lee Valley Tools. This thing was hard to get right. 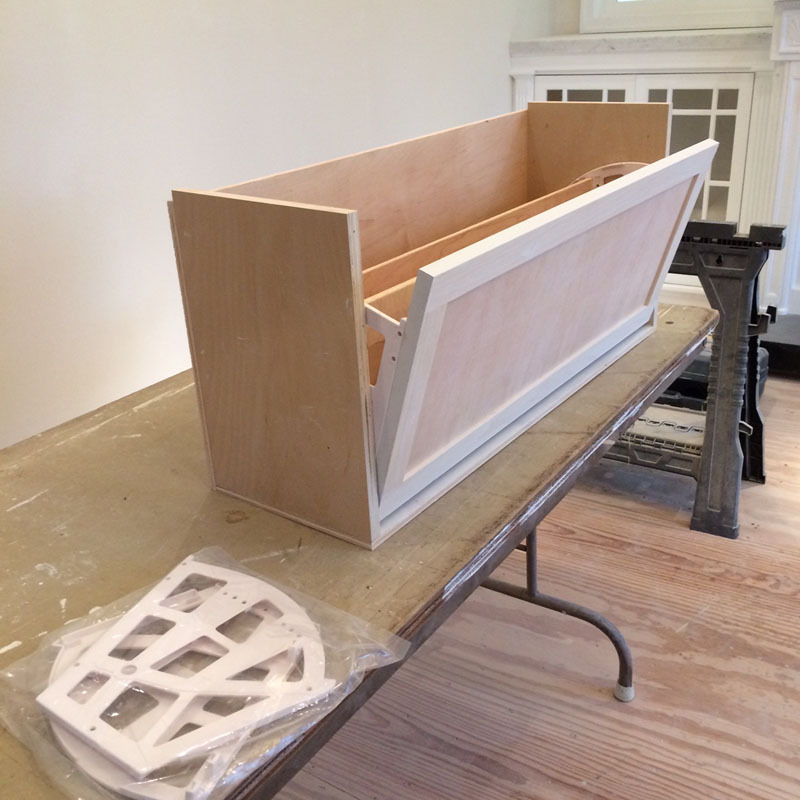 The sides are 3/4″ plywood and the other pieces are 1/2″ plywood. Stuff I had laying around already. I’ve made up the basic carcass – and my shoes fit. (That’s my other pair). 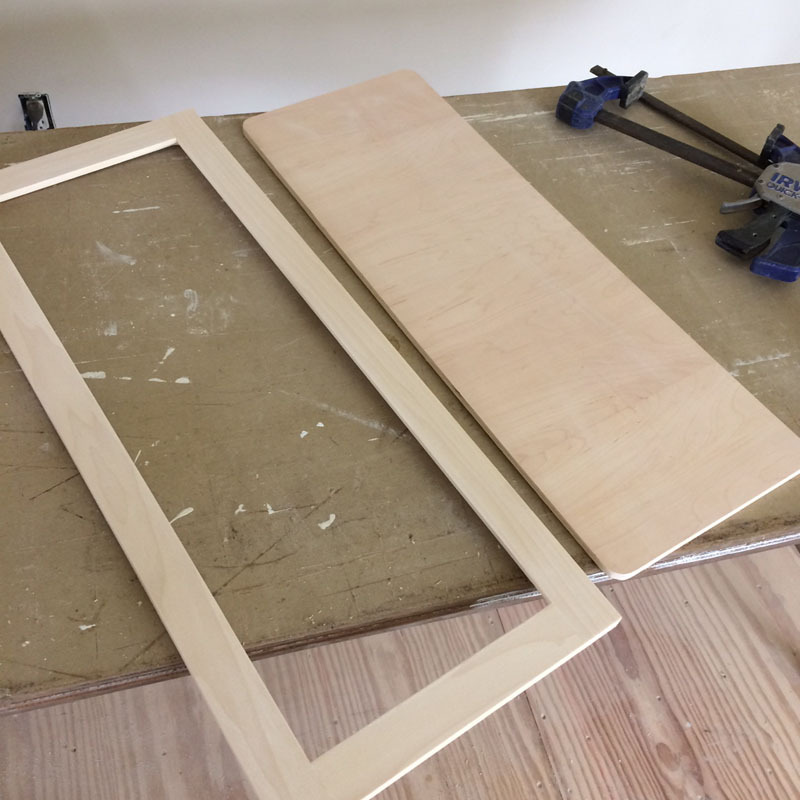 I then made a front face frame from 3/4″ poplar and an inset of 1/2″ plywood. The fitting is pretty finicky, but I got it to work. That’s another pair of pivot hinges- just in case I messed up the first pair. They’re made from ABS plastic – I wanted something more substantial, but couldn’t find anything. I thought if these broke I could use the second pair as a pattern and make a set out of wood. My idea was to incorporate this into a bench. You can sit and take your shoes off and have a place to put them. I made this so that it can be removed for the hardwood floor to be installed. You never know, I might want that table back as I originally intended. A little more adjustments and it works as intended. It holds 18 pairs of shoes. I hope she doesn’t need any more than that at the back door. Now we’ll take a break and work on the chalkboard. 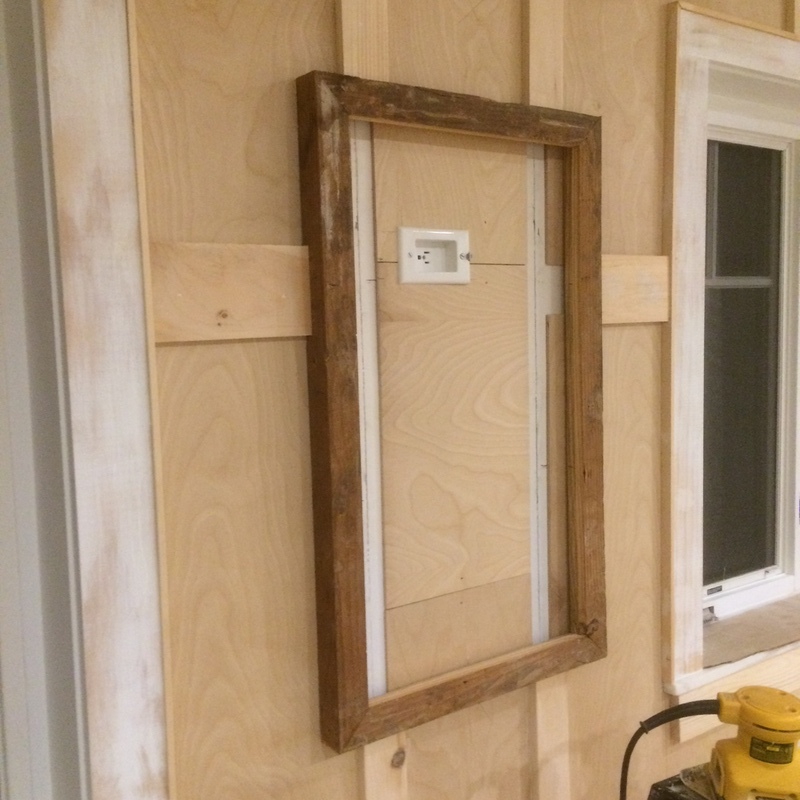 Here’s the frame I made from an old 2X4 that was removed during renovation. I looked around for a piece of real slate to use, but couldn’t find any. 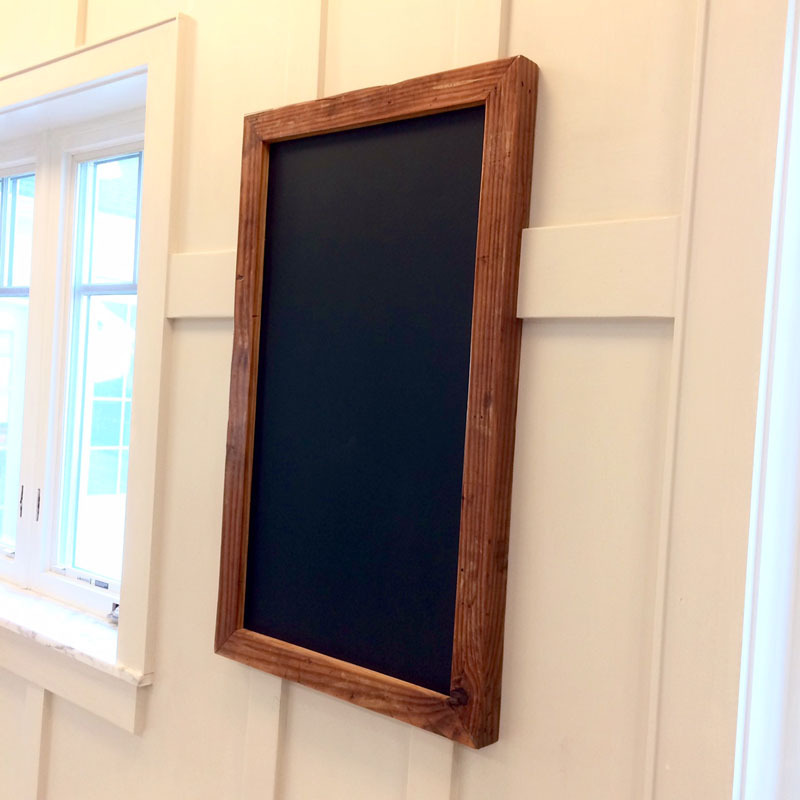 So I went out to the garage and cut a piece of cement board and gave it a few coats of chalkboard paint. 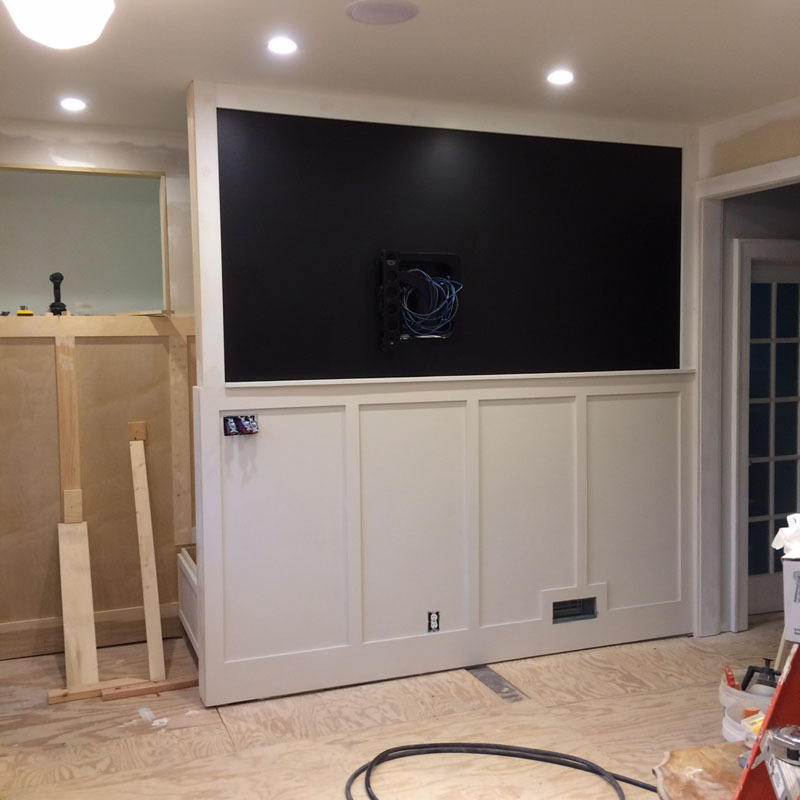 I’ll add a little picture light and a chalk ledge for this when we get closer to the finish. 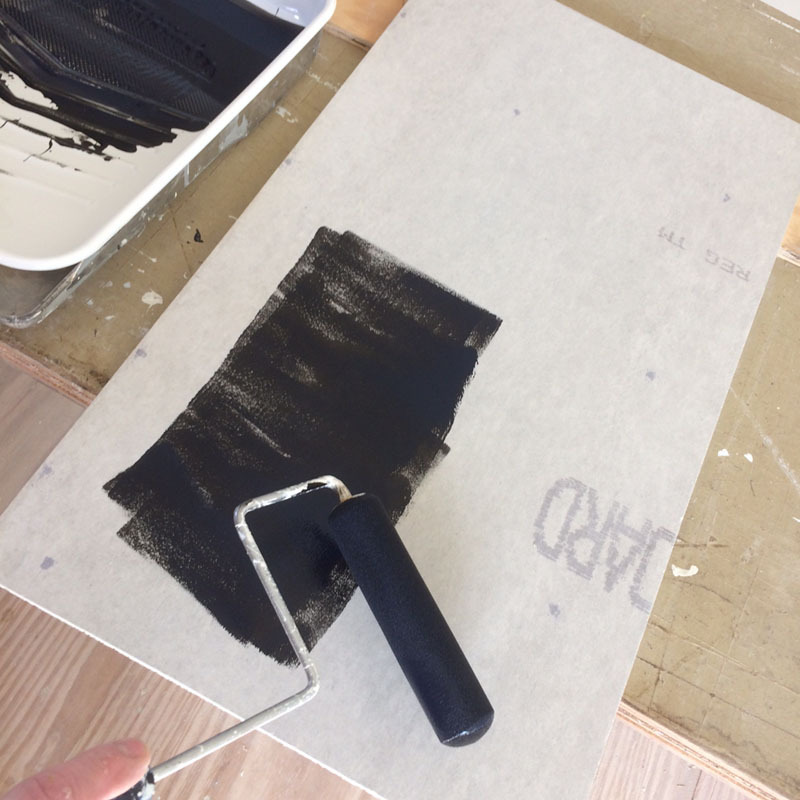 Since I now had a can of chalkboard paint, I thought I might as well make this whole wall a chalkboard as well. At least I can doodle while the bread’s in the oven. And I added another chalkboard painted area above the bench. 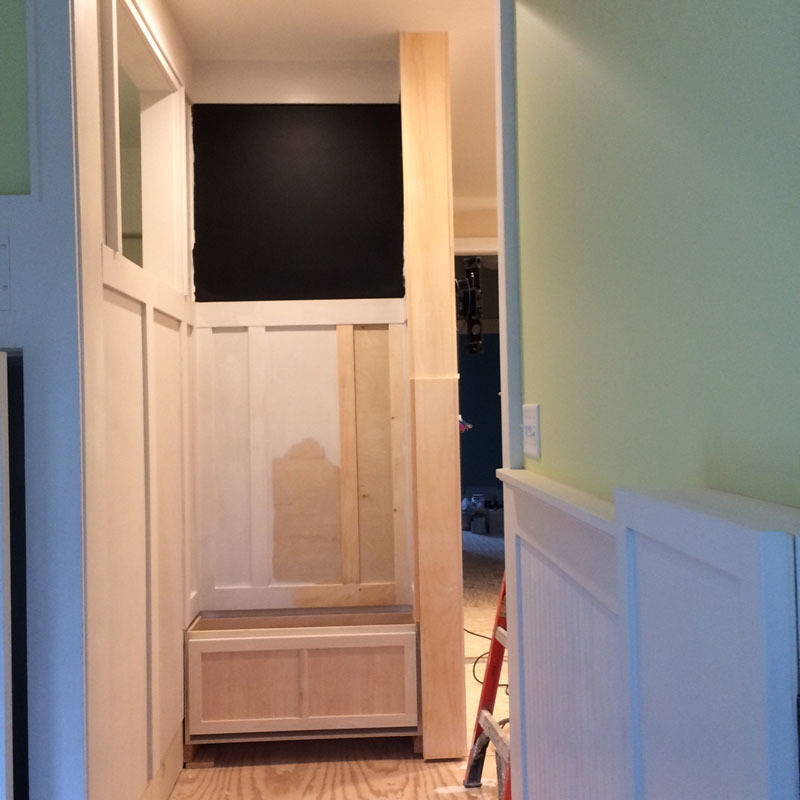 We’ll just keep going – and hope the “What if” thoughts stay away until we get upstairs. Hang in there, we’ll get to the pretty parts one day.